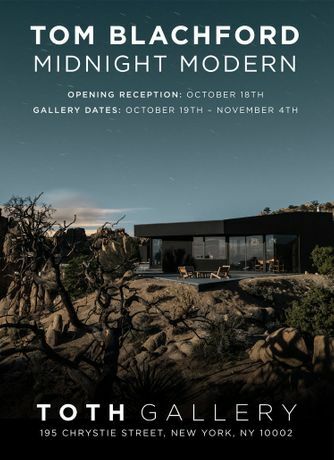 The latest and final release in Australian photographer Tom Blachford’s long-running project, Midnight Modern, will be exhibited for the first time at TOTH Gallery in New York in October 2018. 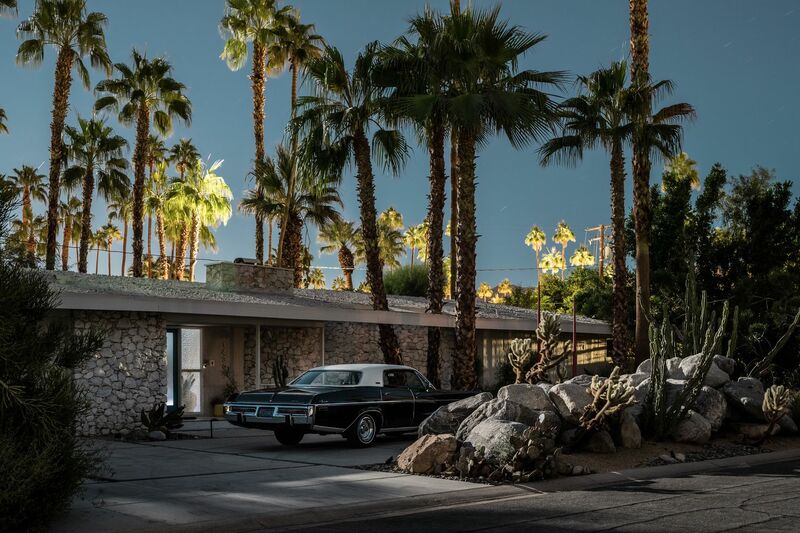 Loosening the shackles of Palm Springs and Mid Century, Blachford’s new exhibition of 12 large scale works explores some of the outer reaches of the Modernist movement in Architecture, and captured using only the light of the full moon. 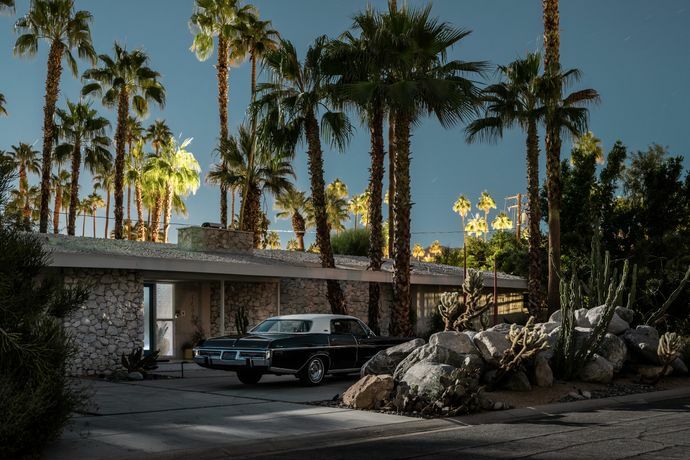 Midnight Modern has already included Palm Springs' most iconic properties; the Kaufman Desert House, the Edris House and Frank Sinatra’s Twin Palms Estate. 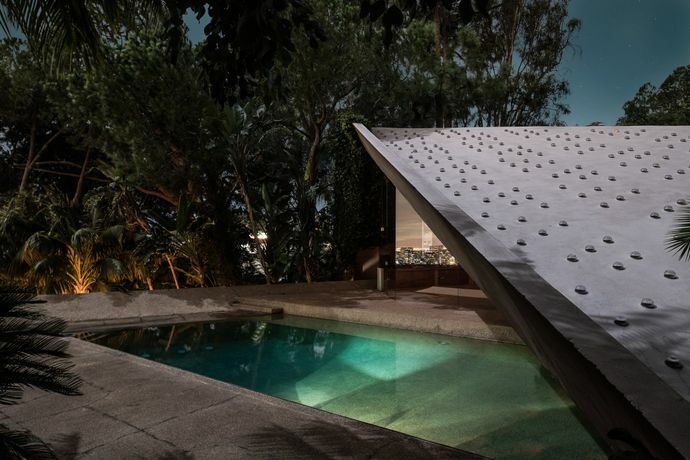 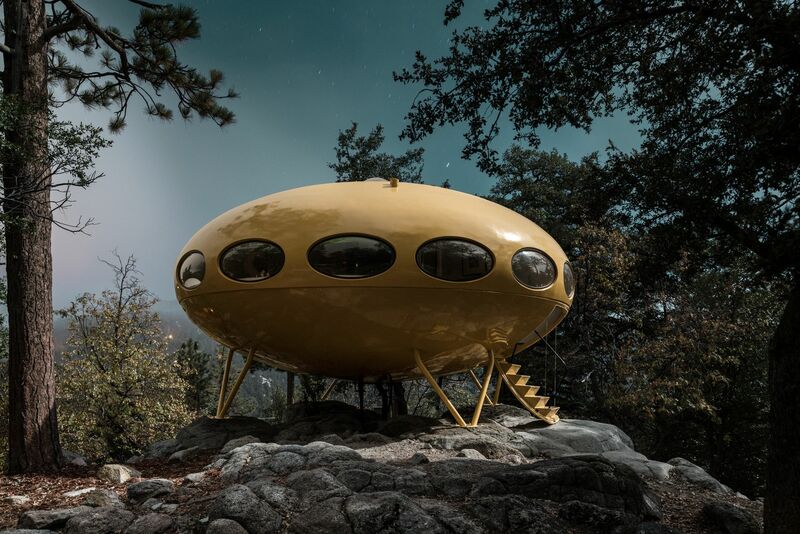 The new and equally powerful images include John Lautner’s visionary Sheats Goldstein Residence, The Black Desert House by Oller and Pejic, and The Bond Villan-esque Doolitlle House by Kendrick Bangs-Kellogg. 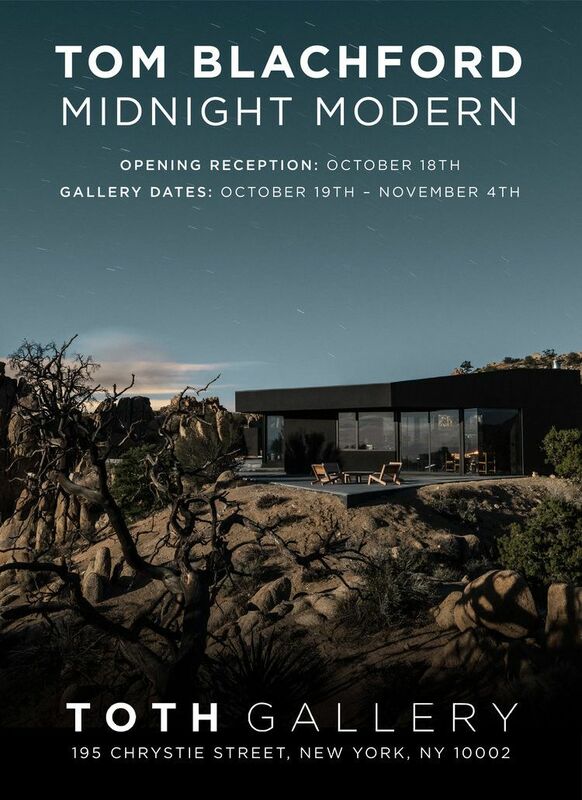 The exhibition also coincides with the re-release of the 2016 Midnight Modern publication by PowerHouse Books.